SanDisk announced the addition of the 128 megabyte (MB) Memory Stick PRO, and 128MB Memory Stick PRO Duo cards to its product line. SanDisk now offers the industry's broadest range of Memory Stick PRO and PRO Duo cards with capacities that range from 128MB to 2 gigabytes (GB) and 128MB to 512MB respectively. The addition of 128MB capacities allows SanDisk's retailers to offer the Memory Stick PRO and PRO Duo cards at a price point below the 256MB capacity, which was previously the lowest capacity for these card formats. SanDisk Memory Stick PRO cards are expected to be available this month with capacities that range from 128MB to 2 gigabytes. 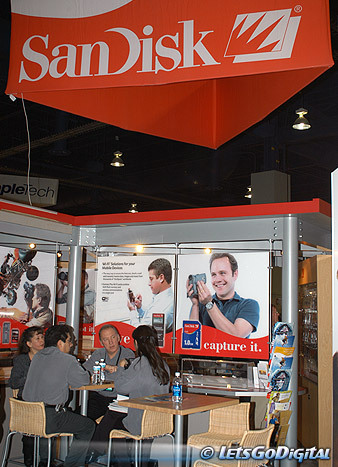 SanDisk-manufactured Memory Stick PRO Duo cards are expected to be available Q2 2004.